Proposed legislation that would require guidelines for religious expression in public schools passed the Senate Education Committee, with an amendment altering the original intent. House Bill 1024 would protect open prayer and religious dress, writings or other religious expression in schools. But Sen. Dennis Kruse, (R-Auburn), says it won’t be easy for schools to execute. So he moved to strike Section 5 of the bill — that would’ve given student’s time and a microphone at assemblies or sporting events to discuss their different faith beliefs. Others sought to expand the bill as a way to arguing against it, including Sen. Mark Stoops (D-Bloomington). He urged lawmakers to require all K-12 schools in Indiana that receive public dollars to follow its guidelines, including religious schools. “If it is good for public schools, charter schools it would also be necessary for private schools that receive vouchers,” Stoops says. Stoops amendment was struck down. The bill also requires the state attorney general’s office to author example policy about religious expression that schools can chose to adopt. HB 1024 passed 8-to-2 and now heads to the full Senate. 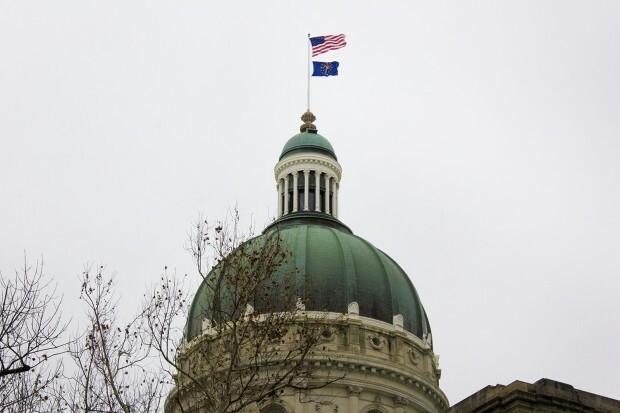 The proposal was authored by Rep. John Bartlett (D-Indianapolis). He has maintained that lack of faith by teens and young adults has resulted in many of the problems facing Indiana, such as drug use and killings.